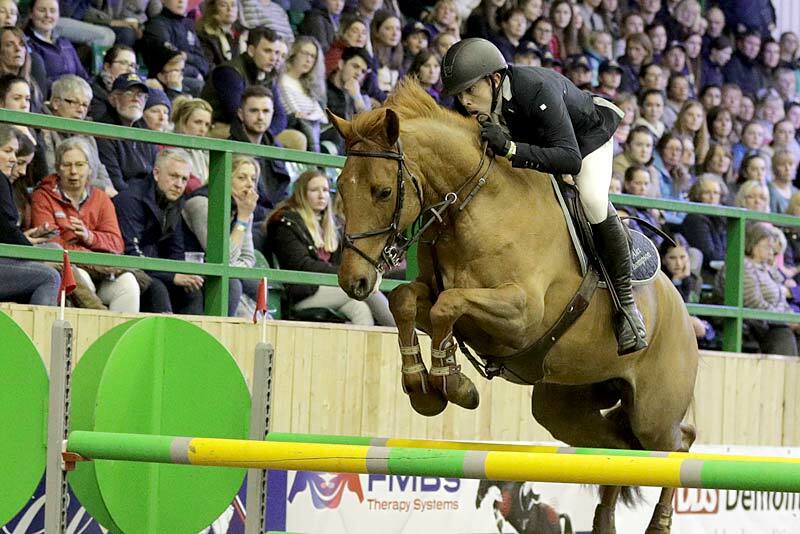 Spectators enjoyed a dazzling Gala Evening, the Kingsland Challenge had people cheering the seven riders who qualified for this light hearted competition. A round against the clock was followed by a quick dismount and then setting off on foot at speed to reach for a basket of letters from a judge. They then had to pin up the letters to spell Kingsland. Between commentator, Matt Millin, and the spectators, the splendid seven had great encouragement. Next on the billing was a Master Class by Geoff Billington who delivered his own brand of humour which had laughter rippling through the grandstand. Geoff demonstrated his ground rules for how to land on the right leg so you are set up for the next fence be in left or right. Spectators were given an insight on how to achieve a good pace and tempo on the approach to fences allowing you to see your stride and prime take off point. Geoff’s Master Class was interspersed with some hilarious comments about his great friends, who have been at the top of their game for many years in the Show Jumping world. Then it was on to Blue Chip Grand Prix with 34 starters. Course builders Bob Ellis and Paul Connor had nine clears over their 13 fence track. Harry Wainwright and Pinheiro Beech set a good opening standard in the Jump Off, but then 3 horses later Alex Thompson and Cathalina V wiped almost 3 seconds off Harry’s time and from then on no other rider could come anywhere close to this smooth, but deceptively fast round. Miles Pearson and Castiel produced the only other double clear of the night. Showground Address: Hartpury Arena, Hartpury College, Hartpury, Gloucestershire GL19 3BE. Important: Please do not use the showground address for any form of show correspondence. Official contact details are available here. Terms and Conditions for Showground Admission at the Blue Chip Championships. Terms and Conditions for Suppliers and Contractors at the Blue Chip Championships. For all the latest News, Photographs and Updates throughout the Championships, join us on Facebook, Twitter and YouTube today. This website is the copyright of Show Direct Ltd. We are a limited company registered in England under number 4558504 and our registered office is at Baldwin Turner Peachey Ltd, Column House, London Road, Shrewsbury, Shropshire, SY2 6NN. If you wish to contact us, please see our Contact page where you will find various contact options.